Based off the popular comic by Frank Miller, which at the time I haven’t read so I will judge everything as its own. While when I was younger I did often read comics, but over the years it’s only here and there and while I haven’t kept up with the Batman comics that doesn’t stop me from being a big fan of the character and some of the films and outside of the 1960s TV show and film I prefer the darker Batman films and that’s why I’m a huge fan of the Nolan trilogy and the ones that came before it I find alright (well the Burton films), but even those two films Tim Burton made I liked, but didn’t love. The Dark Knight Returns is exactly what I look for in a Batman film and even though I rated it a 3.5 it’s still an excellent film and my 4th favorite Batman movie. Bruce Wayne (Weller) is now 55-years old and has hung up the Batman mantle for 10-years now; in his absence Gotham City is once again being overrun with crime and the newest threat is from a gang called the Mutants, which has a hit out on Commissioner Gordon (Selby) who is on the verge of retirement. Also Harvey “Two-Face” Dent (Williams) has had his face fixed and is now normal looking and apparently has been fully rehabilitated and released back into society. Bruce Wayne although not Batman still has the urge to fight crime and after Harvey’s release he soon reverts back to his old ways and with the Mutants terrorizing the city after 10-years Batman finally returns and along the way a new Robin (Winter) will emerge. The screenplay by Bob Goodman is well written and the characters are strong however you may need to know a little bit of the comics to follow certain plot points like the mention of Jason Todd who was Robin and killed by the Joker (only to come back to life later) and I actually remember reading that comic, but even if you have no idea who Jason Todd is it won’t hurt your enjoyment of the film. 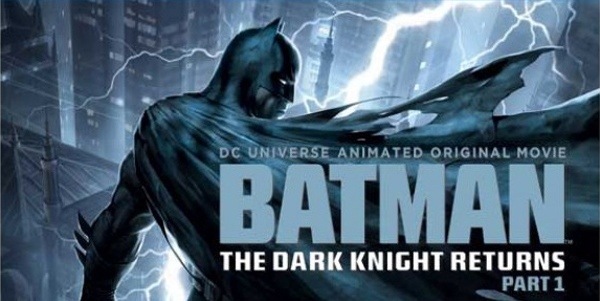 The script by Goodman is strong and interesting and is one of the better written animated Batman movies with a lot more depth to the story and characters, but not everything works well like how Carrie becomes Robin as there really was no set up for it and again I’m just basing everything on the film and not the Frank Miller comic. Besides a couple of flaws, Goodman pretty much hits all the right notes and seeing as its only 76-minutes, Goodman still delivers solid characters and a well-paced script. Running at only 76-minutes director Jay Oliva does a solid job at creating an ugly world overrun by crime while also setting up Bruce Wayne’s return to Batman (Goodman also gets a lot of the credit here for his writing). Oliva no stranger to animated Batman flicks delivers some nice action scenes and while within the first 20-minutes Bruce goes from not being Batman to returning and none of this feels rushed and works excellently. As I stated the film does have some solid action flicks including a great fight scene with Batman and the Mutant leader and despite the PG-13 rating, violence isn’t held back and while it’s nothing too graphic it does show how far you can go with a PG-13 rating these days. The voice acting, which has drawn some complaints, is by no means bad, but it was just a little blah. Weller is solid, but something just wasn’t fully working and that’s how I basically feel about the majority of voice acting outside of Ariel Winter who was excellent as Robin. 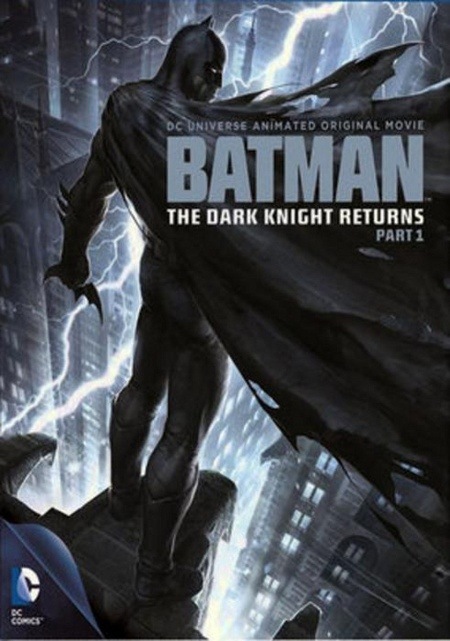 Overall Batman: The Dark Knight Returns is an excellent film and fans of Batman should very much enjoy this one and as much as I liked it I did have some minor problems, but the positives far out-weigh any flaws and everything is set up great for the sequel due out in winter of 2013.